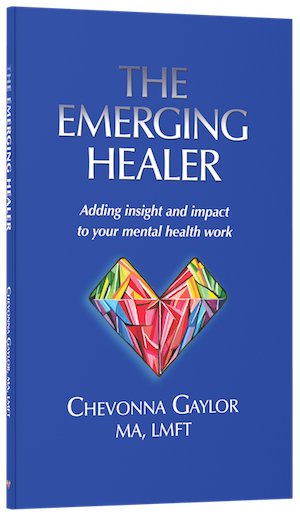 In The Emerging Healer, Chevonna Gaylor models the process of exploring your own personal story to support your growth as a healer. Chevonna transparently shares her experiences, hoping you will consider your own. Ideas for clinical application and a processing question are provided at the end of each chapter, to stimulate your thoughts about the content. Search for bookstores near you. If the book is not on their shelves, they can order it easily. Click here to compare online prices of the print edition worldwide. Click here to search for the ebook edition worldwide.